Although we’re aching to see how the saga of the Skywalker family will continue in Star Wars: Episode VIII, there’s still work to be done in this universe. Rogue One will hit theaters later this year, and many fans have begun to speculate as to how the film will fit into the Star Wars continuity. Don’t work too hard on that, because it turns out that Rogue One: A Star Wars Story won’t feature many connections to the new trilogy. In fact, Lucasfilm creative executive Pablo Hidalgo has just shot down a major fan theory about a certain villain's involvement in Rogue One. @SWHolo_Net @TAnders843 Snoke is not in Rogue One. Like, in any way, shape or form. This is a standalone movie. Of course, to call Rogue One a pure standalone film seems a little bit silly. In order to properly understand the context of the mission, one should probably have at least a passing understanding of the Star Wars mythos and the events of A New Hope. That being said, we understand what Pablo Hidalgo is getting at; the events of Rogue One will stand on their own merits and don’t inform the narrative of the new trilogy. From this we can also likely extrapolate that Felicity Jones’ Jyn Erso isn’t the mother of Daisy Ridley’s Rey, as some fan theories suggest. 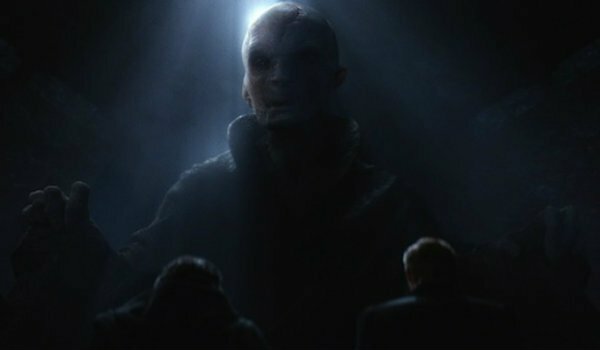 Now that we know that Supreme Leader Snoke won’t show up in Rogue One, we have to start speculating about which villains could still appear. It’s a stand-alone movie, but that doesn’t mean someone like Darth Vader couldn’t show up at some point. We will know for certain once Rogue One: A Star Wars Story blasts its way into theaters this winter on December 16.